ItemI-00909 - Victoria; The Cosmetic Department Of Cunningham's Drug Store. ItemI-00975 - Cup winners, the Saanich ARP. ItemI-00911 - Victoria; The Pharmacy At Cunningham's Drug Store. ItemI-01154 - National Film Board display in the Victoria Machinery Depot cafeteria, Victoria. ItemI-01156 - Burnside-Marigold Bus On Burnside Road Between Earl Grey And Wascana. ItemI-01157 - R.A. Green lumber truck, Victoria. ItemI-01158 - Construction Of Veterans Hospital At The Royal Jubilee, Victoria. Item I-01156 - Burnside-Marigold Bus On Burnside Road Between Earl Grey And Wascana. 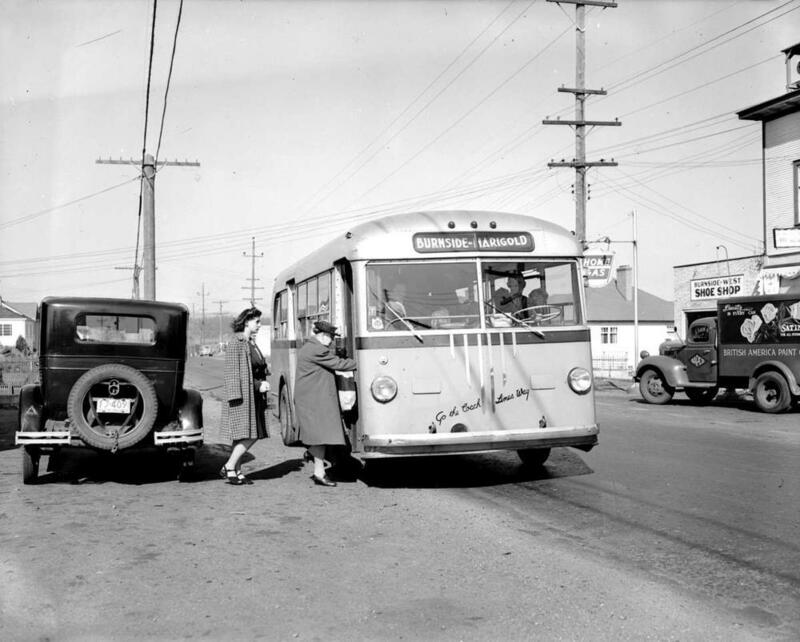 Burnside-Marigold Bus On Burnside Road Between Earl Grey And Wascana.